The country was engulfed in an enormous debt trap in the years 2013 and 2014. 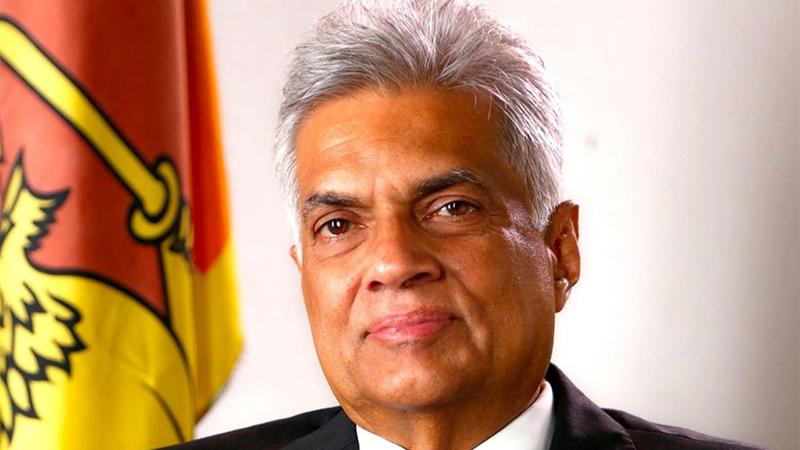 When the present government assumed office in 2015 it set about the task of resolving the debt crisis despite pessimism expressed by opponents who thought the government would be incapable of tackling it, Prime Minister Ranil Wickremesinghe said. The Prime Minister was addressing a meeting after opening the Kurunegala Wewa jogging track on February 8. The Prime Minister said the government initially started repaying debts which accrued during the previous Rajapaksa era. “If the government shirked this task the country would have ended up in bankruptcy,” the Prime Minister said. “When such situations arose in countries like Greece, the government cut salaries by 40 percent and patients died in hospitals without medicine. Nothing of the sort was allowed to happen here. “While repaying debts, we increased public servants salaries, provided free stents to heart patients, made the nearest school the best school,” the Prime Minister said. The Prime Minister said secondly we ought to find the money to pay back outstanding debts. Therefore, a speedy export economy had to be created this year for this we needed export industries and an export-oriented IT Service. We need a new agriculture system based on maximum technology. By doing this we could repay debts in the next five to 10 yeas because we ought to repay all debts by 2030. The Prime Minister said infrastructure facilitates should be provided to ensure rapid development. Wayamba was one of the regions identified to improve infrastructure facilities. The Central Expressway would ensure maximum development of the region transforming Kurunegala into a major city. The Prime Minister who said the lack of big hotels was a major shortcoming in the region. He hoped that the Minister of Tourism, Kurunegala Mayor and Transport and Civil Aviation State Minister Ashok Abeysinghe would join hands and promote the establishment of a few four star and five star hotels in the region since it would help boost tourism in the region. He said a foundation should be laid to bring Information Technology to the area. The Prime Minister said Minister Champika Ranawaka was taking great pains to develop the Megapolis concept. A number of towns were experiencing large scale development due to Minister Ranawaka’s endeavours. The Prime Minister said the country should now try to earn money by attracting large scale investments. The necessary foundation for it had been laid by the government. The government was forging ahead with three tasks despite overcoming various setbacks like the floods and prolonged drought conditions.